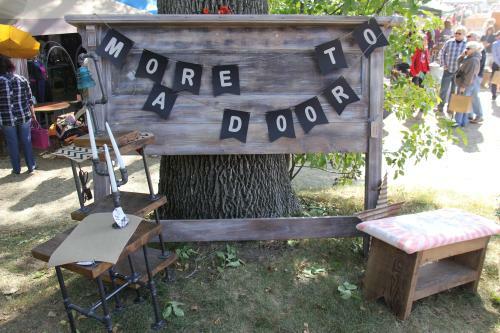 Helpful Shopping Tips for Nellie's Barn Sale "Vintage Extravaganza"
Helpful Shopping Tips for Nellie&apos;s Barn Sale "Vintage Extravaganza"
All my DIY’ers, Pinterest lovers and Etsy enthusiasts this blog’s for you. The fall season brings many enjoyable things back to our lives like pumpkin spice lattes, oversized cozy sweaters and all the flannel prints you can possible imagine…but the fall season truly wouldn’t be complete in the Rockford region without the annual Nelle’s Barn Sale “Vintage Extravaganza.” This two-day event on Friday, October 7 – Saturday, October 8 (10am-4pm both days) draws people from near and far to shop for items that put the “one” in one-of-a-kind, because truly, you cannot find some of these items ANYWHERE else. 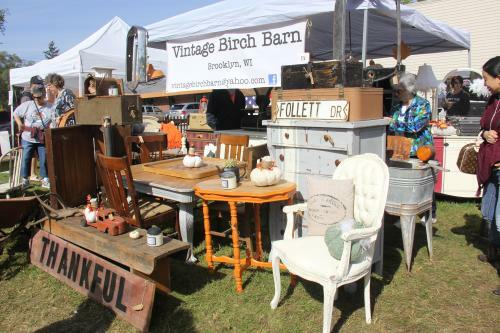 I’m an avid vintage market shopper and because I’ve lived and learned I now have a few of my very own suggestions to keep your hunting and picking experience focused and lots of fun. Tip #1 - Do your homework. Always, Always – and I repeat – Always try to investigate which vendors you consider a ‘must see’ before going to the event. 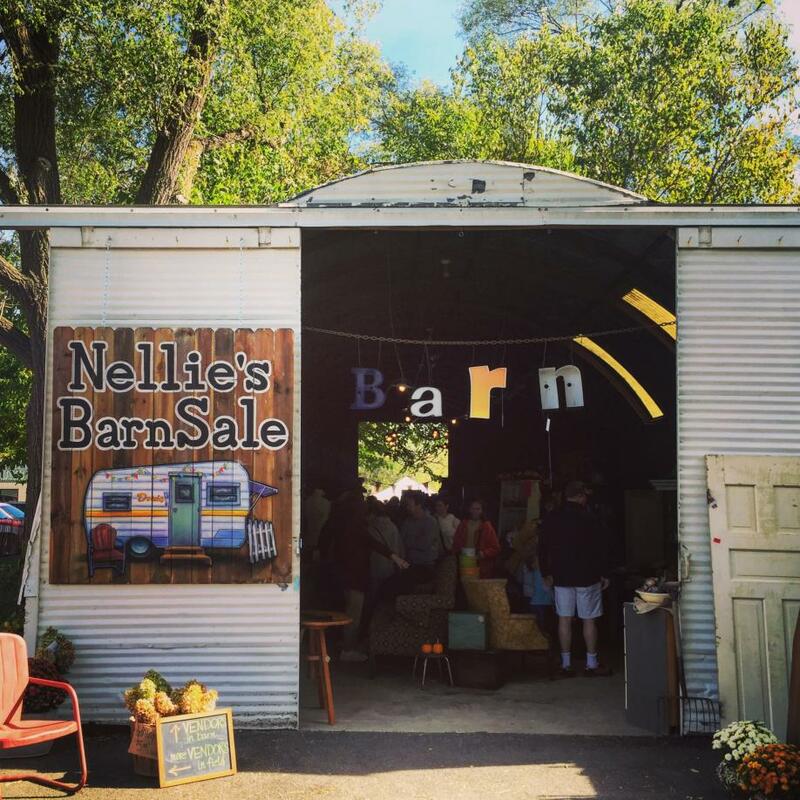 Nowadays, event organizers will provide a vendor list on their website or social sites prior (Nellie&apos;s Barn Sale.) So be sure to do a little research and pick at least 10 of your favorite peddlers to check out right when you arrive. 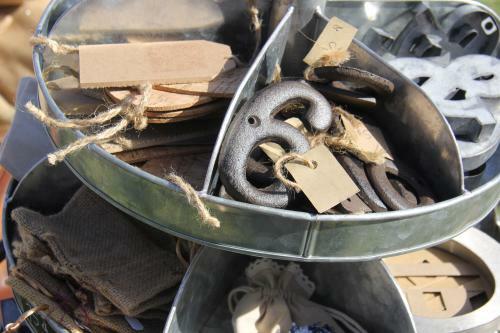 To get first dibs on their one-of-a-kind items you need to make them your top priority. Tip #2 - Leave your purse at home. Bring the wallet, but may I suggest not lugging around an oversized purse or bag for a 6 hour event. Your shoulder will hurt and you’ll have less arm space to carry the new bags of goodies you’ll find. What works wonders is a rolling cart or small wagon to collect your finds. Also, be sure to grab some cash and don’t just rely on plastic. There still may be vendors that only accept cash. Tip #3 – If it’s broken, don’t fix it. Yep, you heard me right. Some of my favorite vintage finds serve absolutely no other purpose than to look really interesting in my home. Take my barn door or window shutter hanging on my walls at home for example. Both were vintage finds and serve to be a conversation piece rather than for their original intended purpose. Be adventurous and willing to jump outside of your comfort zone when purchasing unique, vintage items. Tip #4 – Channel your inner artist. One of the reasons I love this type of shopping so much is because it gives us, as shoppers, a chance to be creative too. 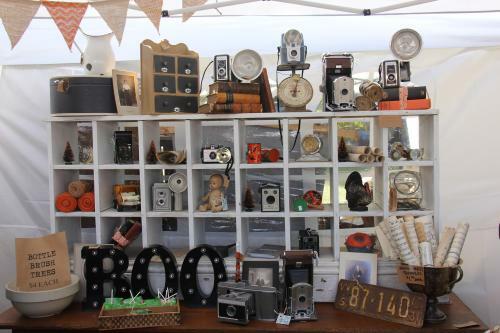 Plus, the vendors are always very informative and willing to give their advice about repurposing or creating your own do-it-yourself projects that make you feel like a true maker too! Candlesticks made from metal pipes...how fun? ...and even more fun to learn how to make! Tip #5 – Get their digits. The vendors at a vintage market have such a tough job. It can be hard for many of them to haul their entire inventory with them. Bummer realization, I know. So, if you’re drawn to a certain vendor or maker because of their funky style or cool items then take a business card and immediately follow them on social media. Keep tabs because chances are, they’ll be back again or you can order directly through them at a later time. There you have it. Last tip of all is to be sure and enjoy your time, enjoy the smells of fall and clear out your trunk before you go! 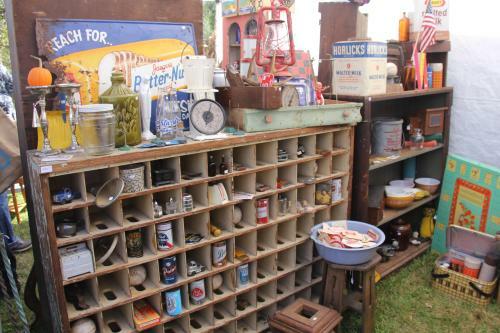 For more information about other vintage markets and things to do in the Rockford region visit gorockford.com.